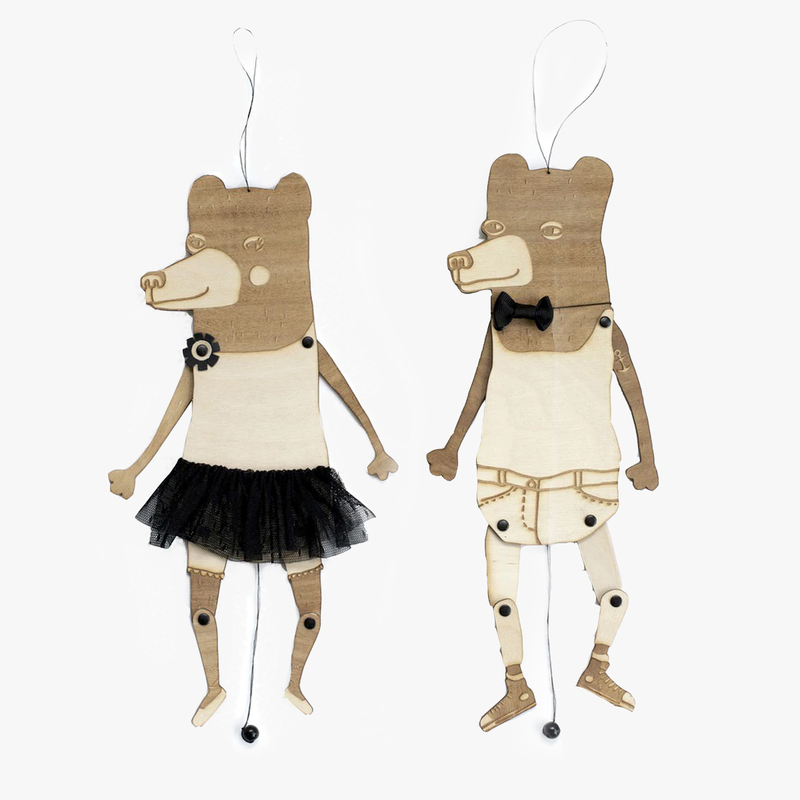 The jumping bear from Strups is made of laser cut wood and lots of love! It's all the little details that make these bears so unique. Each little accessory piece is handmade; the rivets are hand painted, the skirt of the ballerina is hand sewn and all pieces are carefully assembled by hand and put in a beautiful gift box, where the bears are waiting for someone to open the box and give them a new home. The bear will fit perfectly in the bedroom or in the children's room, and is an ideal gift idea for birthdays. Available as a ballerina boy or girl. Contains small parts not suitable as a toy.